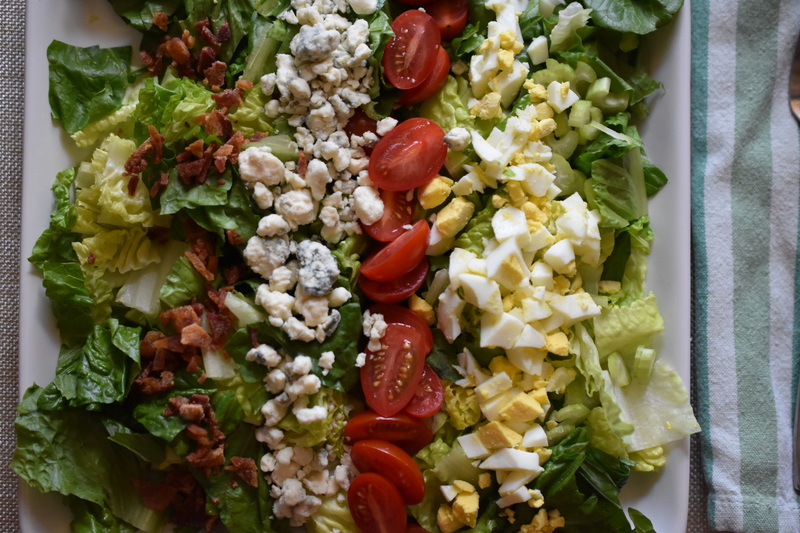 Cobb Salads have most of my favorite food items in them. I like it when I get to the bottom of the salad and all that is left are all the little goodies. That is probably my favorite bite of the salad. Because I had most of the items prepped (oven bacon, hard boiled eggs, etc.) assembling this salad was a breeze. I like to keep the basics cooked and ready to go in my refrigerator so when I am in a time crunch I can get a meal on the table in a quick flash. Assemble salad in order of ingredients. Serve. Eat. Enjoy.